I am so excited to be able to help out some great organizations with part of our proceeds. 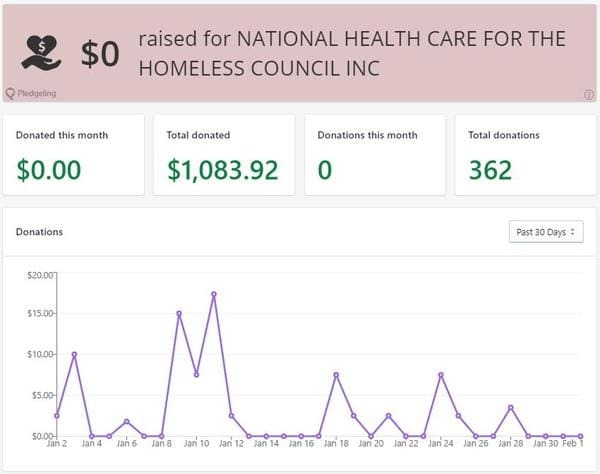 National Health Care for the Homeless is the new charity for January - so that resets the count to $0. Let's get some funds raised! !